This Zuhair Murad ‘Perla’ gown is elegant and sophisticated to say the least. 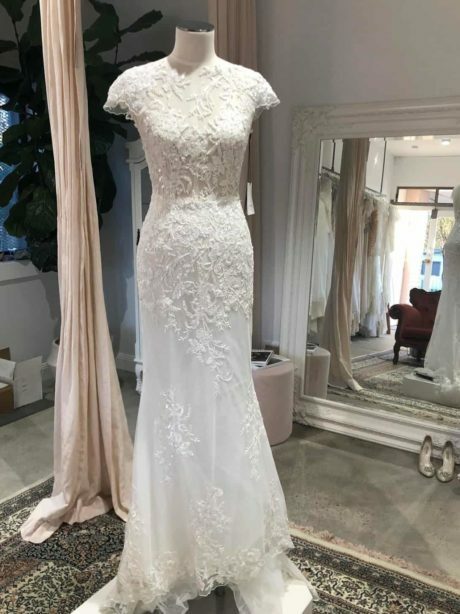 A mixture of lace and tule, creating modesty in all the right places, with capped sleeves, a scooped back and a detachable custom made tulle skirt. This Zuhair Murad gown is available to try on at The Barefaced Bride studio.